Tell the story while playing with play-dough to illustrate how God formed things like you are forming shapes. And let God's apples fall on me! WEDNESDAY Make these Creation Blocks ahead of time. Practice putting them in order with the children. Duplo Lego Day! Sort them by color. Emphasize and build with the RED ones. THURSDAY Real Apples--Bring in 6-10 real apples in a basket. Let the children explore. Talk about the color, shape, etc. Put them in and out of the basket. 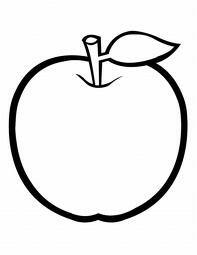 Print out this Apple from Family Crafts. Print by hand or computer in the center of the apple this month's memory verse. Have the children color them with red crayons or markers. Provide plastic apples in a basket for free-play dump and fill or Hide the Apple games. FRIDAY Paper Apples & Basket--Print out these Small Apples on red paper, about 6 for each child and cut them out. Provide a lunch sack to hold them all. During class, practice putting the apples on the floor and then back into the bag. Send these home with a note on the bag that the children have been studying apples and that they love to put the apples in and out of the bag. Ball Day! Practice rolling the balls to each other. Everyone says the memory verse as they roll the ball. If you have those real or plastic apples still handy, try rolling those. Apple Jacks cereal "Stamp Paint" - cut one apple horizontally and one vertically. 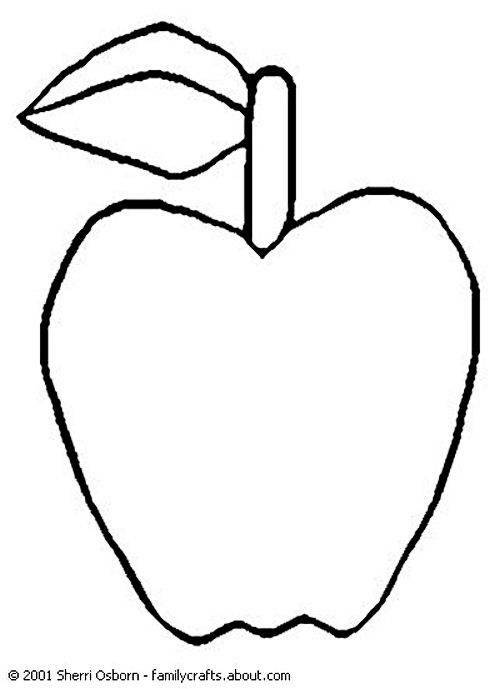 Dip cut sides of apple in paint and stamp on construction paper. "Marble Paint" with a real or plastic apple. Check out more ideas on my August Theme Page.